In today’s rumor rundown, the Washington Capitals and New York Islanders now have other teams to compete with while trying to sign their big-name free agents and both Scott Hartnell and Xavier Ouellet want to play again but it won’t be with the teams they played for last season. Meanwhile, the Carolina Hurricanes are ready to do business but are just waiting for the market to be ready for them. After the Washington Capitals moved Brooks Orpik it appeared things were on their way to getting John Carlson re-signed in Washington. He said he wanted to stay and the Caps wanted to keep him so numbers were really the only last obstacle. Capitals GM Brian MacLellan even used the word “close” to describe how things were going with negotiations between both sides. Things may not be that simple. Should Carlson not sign in Washington, it would completely change what the Capitals do over the free agency period. 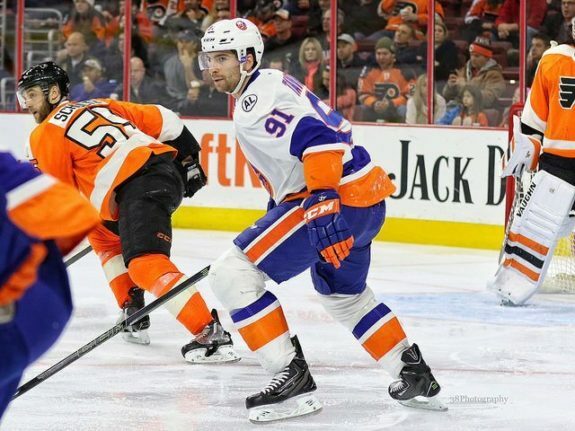 Brett Cyrgalis of the New York Post the Maple Leafs, San Jose Sharks, and St. Louis Blues are three of the teams that could meet with Tavares now that he’s officially decided to listen to what other teams are willing to offer before July 1 and free agency officially opens. Cyrgalis also suggests the Stars, Lightning and Vegas Golden Knights might be on that list. The Islanders are believed to have officially tabled an offer of eight years and $88 million which is $11 million per season. If he’s looking for money, Tavares can only get seven years from another team and that would mean $12.5 million per season to match the $88 million. That seems incredibly high and it puts Tavares in Connor McDavid territory per season. It’s hard to imagine a team willing to spend that much but free agency is a crazy time and Tavares is someone who could change the fortunes of a franchise. Darren Dreger of TSN reports that after trying to shop Xavier Ouellet, the Red Wings will place Ouellet on waivers for the purpose of a buyout. Ouellet has one year remaining on his contract and carries a $1.25MM cap hit. At first glance, it might appear a strange decision, but when you consider that he’s just 24 years old, buyout would only pay him 1/3rd of his remaining salary and not 2/3rds It becomes extremely inexpensive for the Red Wings to make this move knowing they only owe $166,667 in the first year and $216,667 in the second. Going this route saves the organization more than $860K in salary while putting him in the minors requires the team get dinged with a $225K charge per season and pay all of his $1.3M salary. It will be interesting to see how quickly he finds other work in the NHL considering his age and how he’s struggled to find a full-time spot on the Red Wings. Pacioretty Not Coming Back to Montreal? The Montreal Gazette’s Pat Hickey reported a rumor on Saturday that the Montreal Canadiens were working on a trade to send Max Pacioretty to the San Jose Sharks. It turned out that rumor was false. What did happen was that Pacioretty let go of his current agent Pat Brisson and hired Allan Walsh to represent him as he works on sorting out this situation with the Canadiens and his contract. Pacioretty felt underappreciated by Brisson and that Brisson’s focus was elsewhere. Because Pacioretty has been considered so underpaid over the last few seasons for what he’s provided the Canadiens in terms of offensive production, he feels this is his time to cash in and wants to hit a home run with whatever team he signs with. 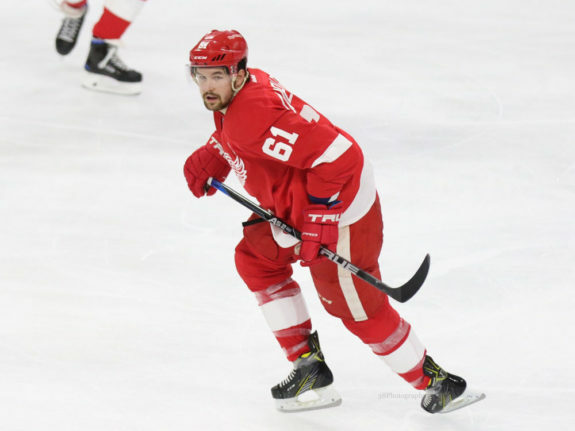 He’s now out in Los Angeles since the Kings have signed Ilya Kovalchuk and while there are still chances he goes to San Jose, the Sharks are in on a number of players this summer. 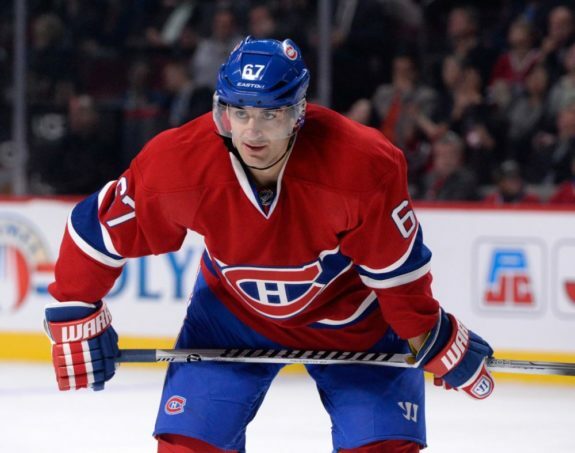 Bob McKenzie of TSN tweeted Saturday afternoon the Canadiens had “nothing going on Max Pacioretty trade front. At this point, the plan is to keep him in the lineup. That could change but for now…c’est tout.” But, there is a sense that Pacioretty is not wanting to come back for the long-haul knowing that Marc Bergevin got a steal when they signed him last time and he isn’t communicating much with Pacioretty now. The Nashville Predators have told Scott Hartnell they won’t be bringing him back for another season and Hartnell has said that if this means the end of his NHL career, he’s ok with it. But, TSN’s Frank Seravalli reports that Hartnell has indicated that he’s absolutely wanting to play again. Someone is going to get a good depth forward with leadership abilities on a cost-effective deal. Hartnell was paid $1 million to play with the Preds last year and posted 13 goals with 24 points in 62 games. The Hurricanes are still believed to be ready to make big moves but the market appears to be on hold while things with John Tavares and John Carlson get sorted. Rumors are the Canes’ are planning to move both Justin Faulk and Jeff Skinner but teams interested in those two players are also making pitches to others during the free agency interview window. Trade interest in Jeff Skinner remains strong. Plan is to see where Tavares lands. Perhaps, interest increases from those who don’t get JT.